The latest supporter profile is from Gilles Rolles, our contact from Rafael Lorraine – the recipients of the Sunshine Appeal’s donation earlier this year (2016) in Metz. 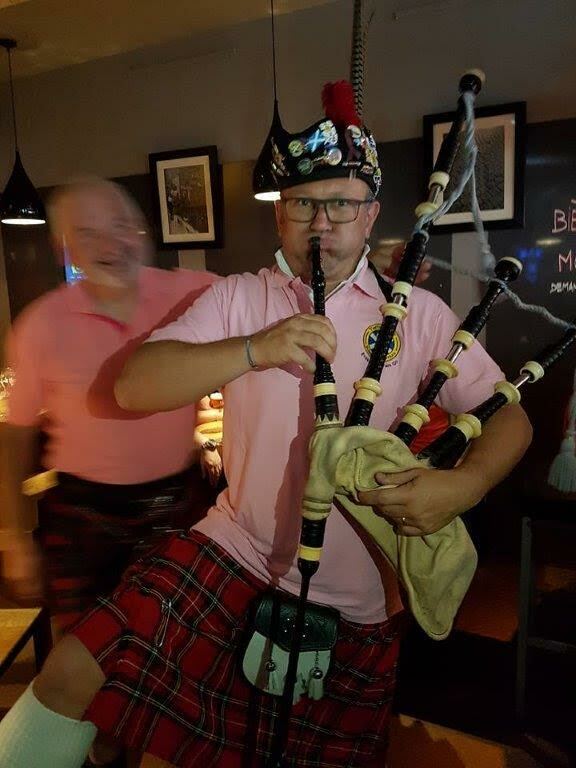 When Denis (the chairman) received an email from a French friend of TASA who said that TASA want to do a donation to our charity association, as my second country is Scotland, he transferred it to me immediately. First we found it strange, why such army want to do a donation to a foreign country ??? But it looked like serious after we had consult the website. Chance make that we go to Edinburgh in march with Denis so we asked to have contact with the members of TASA. 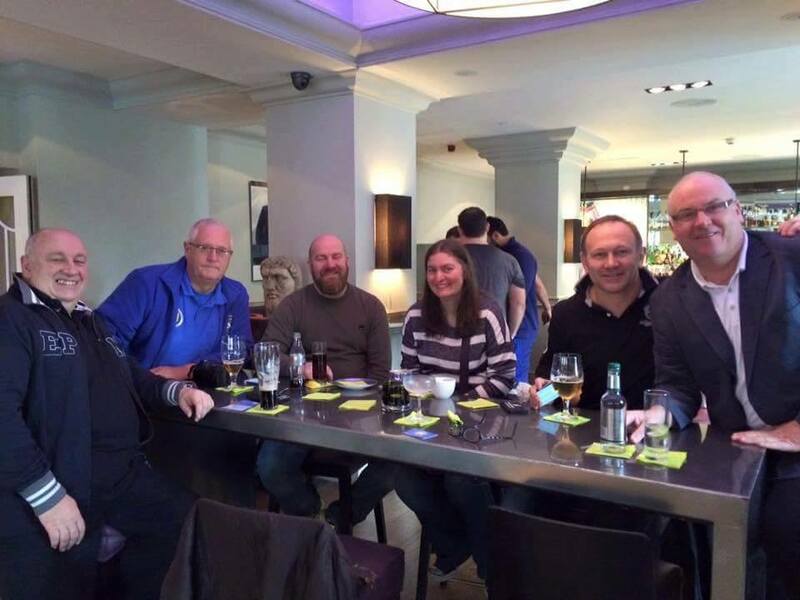 We met John, Neil, Monica and Sponge Bob at the Balmoral Hotel and we exchanged on our respective actions for sick children. The goal of our action being to realize the dreams of children with cancer (palliative or terminal care). And all members are volunteers and every penny goes to the realization of children’s dream. A few words, a few explanations, a few pints and everyone understood that our way of seeing things went in the same direction. After a meal in common we shook hands, then a hug to say see you very soon in Metz. I was very excited to receive the TASA to Metz and all the Scottish fans.When John sent me the amount of the donation by email, I was meeting with clients, I stopped the meeting because I was moved and decided to told my audience this improbable story that arrived at Rafael Lorraine. 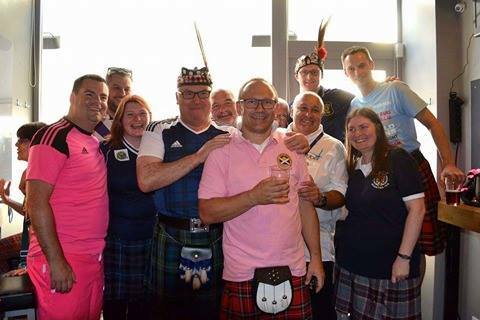 Before the arrival of fans I knew that Scottish was friendly and very pacific, but I didn’t expect to cross so many kilts in Metz during the weekend. The local newspaper didn’t fail to make an article about TASA and Rafael Lorraine. We do our best to receive TASA and friends, a meeting in a pub few hours before the game allowed us to spend a great moment of fraternity. 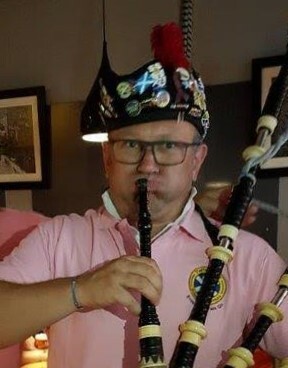 And now I know that pulling out a bagpipe sound is not so easy even after 3 pints ( thank you Duggy). Four sick children realized their dream by viewing the game in good condition and many others have realized theirs with the donation. A great thank to TASA and friends ! Certainly the most incredible meeting for Rafael Lorraine. Countries have borders, not disease, not friendships, not generosity….